Why should you bother wearing ANY sort of safety boots? After all, what’s wrong with wearing regular trainers to work? Ok, so common sense first, it may be a boring topic, but well, while working in hazardous conditions like in a factory, you can easily hurt your feet if you are not being careful. A momentary lapse in concentration can spell disaster! Honestly, the truth is that you really should invest in the very best safety boots you can afford. Doing this just makes perfect sense. Give your feet the required level of protection they deserve. It only takes a moment for something heavy to fall on your feet, or a fork lift truck to go off course and run over your feet. Not a nice thing. Feet are incredibly complex with intricate bone structures and ligaments. Makes sense to look after them as much as you can. Nobody want’s something big and heavy crushing their feet! So, which safety boots should you go for? 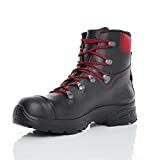 Well, there are “many” cheap work boots easily available in the market that you can choose but you should not risk your life by compromising on the price. They all look “really nice” and the price seems really attractive but bear in mind that your health comes first. Depending on your specific needs, getting steel toe capped boots should be the first priority. Then choose what other things are important. Things such as reinforced steel soles (if working outdoors and there is a risk of standing on a sharp object), or chemical protection. Last but not least, comfort is also very important especially as you are likely to be wearing boots for hours on end. So let’s take a longer look now at this best safety boots UK review. Yep based on the UK market. 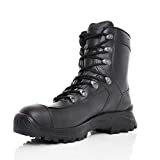 If you are looking for specifically boots for wide feet then go here, otherwise please continue reading. The very best work boots are the ones that are made with the best quality of material and are able to withstand any accidental situation. We are talking crushes from falling objects, bangs or impact injuries. If they are also comfortable that’s the icing on the cake really. When your feet are under consideration, price is not usually the factor you should be thinking about. Instead, focus on the design, comfort level, and strength of the boots. The DeWalt Mens Titanium Work Boots. Constantly TOP RATED by independent purchasers. Even with a years worth of daily use, you will find them incredibly comfortable and pleasing each and every day. Click here to see all the features (there are many!) These are comfotable safety boots uk contractors should seriously consider. There are many styles of boots that you can choose including steel cap safety boots. These protect you from small crushes, machinery etc, and help to keep your toes attached to your foot! Haix Airpower XR3 boots are very trendy and some of the best quality work boots available in the market today. This pair of boots are actually some of the comfiest safety boots we’ve ever tested! In fact they are our current best rated safety boots. Check out some of their “countless” features that are hard to find in other safety boots! The leather is waterproof (nice!) and has a sun reflective coating that reduces the effect of heating on the upper side of the boots, making them highly comfortable to wear in the summer season. On the inner side of the boots, there is a highly absorbent cushioning wedge that keeps your feet dry. One of the finest features of these safety boots is the breathable material. The toe of the boot is also very strong. It absorbs impact shocks completely and does not make you feel any discomfort. If looking for the best safety boots and some lovely comfy safety boots uk, then look no further.. these could be just what the doctor ordered! Moreover, the leather is reinforced over the heel rounding to add maximum stability to the boots. And not to forget the tread design that provides increased grip to your feet and prevents slipping even on the greasy floor. Overall, one of our most favourite pair of work boots tested. Made with pure leather, these are one of the best safety boots you can own at very affordable prices. On the bottom of the shoes lies a rubber sole of 0.5 centimetres thick that can prevent any damage from dropped nails and other sharp objects. Certainly a comfort to know. If you are a gardener you will be well aware of the pitfalls of walking through thick bramble growth. The upper leather may not be waterproof but it is very comfortable to wear. These are very lightweight and makes mobility easier. The Brown colour of the leather material is also very pleasing to the eyes and does not look dirty when used week in week out. The slip-on design of the boots allows you to easily wear and remove the boots without the hassle of tying and untying the laces. The leather upper makes it very easy to clean and maintain the boots without using any fancy products. Simple yet elegant truly fits these boots! Click here to see the quality for yourself. Dunlop Blizzard Boots are the name of quality. These are some of the best top quality Wellington work boots you can get. Ideal for damp wet areas, these safety wellies provide a high level of protection and comfort to your feet. If you have to work in wet conditions, these are ideal for you because of the fact that these boots are 100% waterproof winter wellingtons. The slip-on design of these boots makes them very easy to wear. There is a padded collar with a drawstring which you can use to tighten the boots from the above and make them kind of air tight to prevent water seeping in. Using state of art technology, the manufacturers have given a very fine easy to clean finish to the boots. Available in two colour variants: Black & Blue. The outer part of the shoes is made with synthetic material but the inner side is padded with textile and absorbent cushion to prevent sweating and keeping the feet dry. Don’t forget that there is also a great tread that gives stability and increased grip to your feet! Click here to look closer at these. Have you always admired those boots worn by the soldiers? If yes, Magnum Unisex Elite Spider 8-inch boots are the ones you are looking for. These are top quality safety boots with a really attractive design. The outer part of the boots is made with manmade leather and the inner part of the boot is made using manmade fabric. These are stylish work boots that provide safety to your feet without compromising on your style statement. The thick comfy heel keeps you safe from potential cuts from nails and other sharp objects. It also absorbs any shock you might feel from some hard objects. These are some of the comfiest safety boots you can find that also come in a tough durable design. 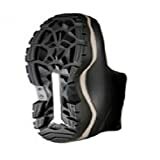 There is no steel cap in these boots even then they provide your feet the desired level of protection. Good for general levels of protection but not for crush or heavy object injuries. The beautiful looking lace-up design adds a lot of value to your personality and makes it easy to wear and remove the shoes. Could these be the best safety shoes right now? You decide. We love them! For colour options, you will find three choices: Black, Beige, & Sand. All the three colours have their own grace and charm, however, Black tends to be the most popular one in terms of sales. Lack of steel toe is a downside but overall these are very comfortable boots. It is a common fact that no two humans are the same and one thing that a person may find comfortable, the other can have opposite views. These boots may look decidedly simple and understated, yet they boast a plethora of top-notch features behind the scenes. The sole of the boots has a very strong tread design that provides you with great stability and grip. These boots are made with Nubuck which is a rarely used material but is not less than leather in every aspect. This material provides strength to the boots and makes them very long lasting. The two loops at each end of the shoes make it easy to wear and remove the boots and compliments the slip-on design of the shoes. There are three colours available in these shoes including Black, Honey and Brown/Black leather. What more can you ask for in work boots? Both stylish and protective. When it comes to HAIX boots, these are some of the best S3 safety boots Uk buyers can enjoy, and with these top quality boots the expectations run higher and for all the right reasons. These top quality work boots are designed to withstand the work environment with you and keep you safe from all the potential threats that come your way. It is not only the design of the boots that make them a popular option for work boots but the amount of protection they offer to your feet. These boots make walking easier and absorb all the shocks. Having a large sole, these are some of the best safety boots to keep your feet safe from nails and other sharp objects that can cause damage to your feet. Moreover, the upper layer of the boots is waterproof but does not prevent the air from circulating. These are good safety boots that you can rely upon. On the inside of the safety boots, there is a padded cushion that absorbs all the sweat and keeps your feet dry. 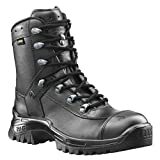 The boots have a lace-up design like all the HAIX boots that makes it very easy to wear and remove. The sole of the boots is joined with the boot by keeping in consideration the durability factor. What’s the point of buying a pair of work boots that cannot last long? By purchasing these boots, you get good value for your money. It is also worth mentioning that the tread design is top-notch which enables you to maintain a proper grip on the ground. Discover these boots for yourself by clicking here to see how they can keep you safe. Even if you are at your workplace, you should not compromise your style. This is where you need to find the comfiest work boots that can add value to your personality. Cat Supremacy Sbp Mens Chelsea Boots are exactly the safety boots you are looking for. Cat, as we all know, is the name of quality and from these boots, you can expect the level of comfort, quality, and durability. These are supreme quality safety boots with a Poliyou sock liner. The solid construction gives enough strength to these boots. Made with genuine leather, these boots are ideal for both seasons. However, you have to use thick socks in the winter season to keep your feet warm. On the inside of the boots, the mesh helps keeps your feet dry. The sole of these boots is made with rubber and phylon. These shoes are available in two attractive colours: Black & Yellow (Honey Reset). Be prepared because these boots are a bit heavy as compared to other safety boots (but not that heavy that would disrupt your mobility). The lace-up design allows you to tighten the shoes to the appropriate level which is not the case with pull-on design shoes. The sole has a different tread design that gives you the stability you want. 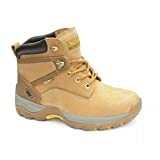 These are best steel toe boots you can find. The steel toe keeps you safe from potential shocks and sharp objects. 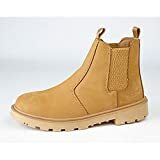 These are good value for the money and you should consider these work boots if you are brand conscious. Safety shoes are all about getting protection from potential threats that can hurt your feet. One of the best safety boots you can find for you are the DeWALT Mens Titanium Safety Boots. These are a combination of both a tall and a short safety boot, so just above your ankle. One of the best aspects of these boots is their antibacterial foot bed that prevents odour and allergies. Made with genuine leather, you can bank on the quality of these safety boots. These top quality work boots are designed for providing increased care and protection to your feet. The sole has a strong tread design that resists any slipping. There are two colours available in these shoes: Tan and Honey. Both these colours have their own grace. The steel toe of these shoes keep your fingers safe from bumps and painful hits. In fact these are some of the best steel toe cap boots around at the moment. The sole also is quite thick and does not let you feel if any sharp object comes under your foot. And not to forget the lace-up design that gives you the liberty to easily wear and remove the shoes. 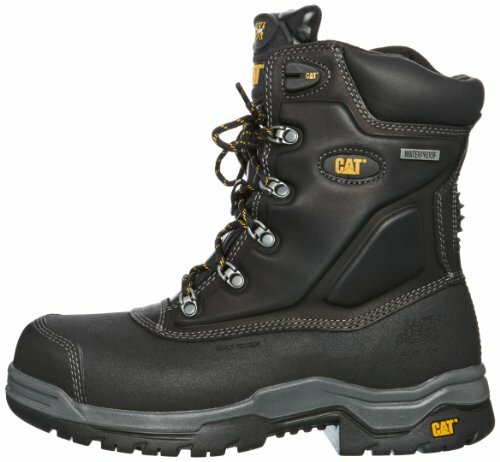 Some of the best steel toe cap boots around! The composition of the boots is very strong that make these boots a durable option. The leather gives them the required flexibility that makes you easily move around wearing the boots. Some of the most comfortable work boots in the uk. Affordable work boots with a steel toe cap and steel midsole. Some of the top safety boots available! There are some people who like to use safety boots in their regular life as well. It is not that they want to keep their feet safe around the clock, but the level of comfort that the safety boots offer. This is the reason why they choose supportive work boots. 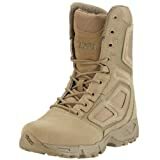 For those looking for such type of supportive work boots, the Groundwork GR96 are the ideal deal. The lace-up closure on these steel toe shoes also has a padded collar that prevents dust and other particles seeping inside the shoes. The inside part of the shoes are padded with the best breathable fabric and cotton that provides increased comfort to your feet. A great all round boot that can be worn in every day life. There should be no compromise on the level of comfort especially when it comes to shoes. Before buying a pair of work boots, make sure that the ones you are choosing are easy to wear and you are feeling comfortable with them. If you are not comfortable in the few moments of wearing the shoes, how can you be so sure that you can keep wearing them for at least 8 hours on a job? Always check if the inside of the shoes is padded with cotton and fabric. Be sure to study our review to ensure you get the most comfortable safety boots uk wide, barring no others. We test, we try and we advise. No matter how low the price of the shoes are, you would not want to purchase them again and again. This is where you have to consider the durability factor of the shoes. The shoes should be able to last at least one year if not more. In order to ascertain the durability, you can check what the material of the shoes is. Ideally, the safety boots made with leather are more long lasting. Even though the design of a safety boot is to keep the feet safe from any bumps and sharp objects, you also need to consider slips, so choose some with a great tread design that also have oil resistant soles. Most work boots will withstand a bit of moisture just down to fact that they are made from half decent materials. It’s not like they are going to be made of paper that just crunches up at the mere sight of water. 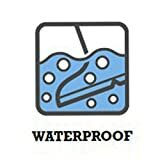 They are going to be as good as regular shoes for little bits of moisture, but if you are likely to be outdoors a lot then you will definitely need extra protection. Work shoes are not the shoes you wear for fashion but you wear them as a necessity. That is the reason why these boots should be easy to wear. People mostly prefer the ones with slip-on design, however, some people still like the old-school lace-up designs. If there is a network of laces, they would become a matter of concern for the users. That is why you should choose the one you can use easily. These are some factors that you should consider in work safety boots. By taking these factors into consideration, you can get the finest pair of boots for yourself. With the advancements in technology, each year we observe new products in the market claiming to have the best features. This might not be true in most cases, but it is valid in some cases especially the shoes. The Safety Footwear Standards can allow you to choose the best pair of shoes for the best price and they would allow you to know every single detail about the shoes. The above mentioned safety boots pass all the safety footwear standards and this is the reason why they are the ideal deal. If you are still uncertain about the quality of these shoes, there are three questions that you might have. Are these work boots durable? Are these easy to wear? Do I need a steel toe cap? Do I need a steel sole? Do I need them to protcet just my feet or further up my legs too? As it is mentioned with each specific product, the boots are made with the supreme quality of material available in the market, there is no question on the durability. All the shoes are tested under extreme conditions and each of these have passed the test. The shoes maintain their life without compromising on the level of comfort. Talking about being easy to wear, it depends on the product design and the person wearing them. We have discussed both the shoes with laces and slip-on design. Each person can have their own preferences and it is difficult to comment on it. However, each of the 10 products discussed in this article are very easy to wear and remove. According to the manufacturers, it takes less than 10 seconds to properly “wear” these shoes. Lastly, the dimensions of these shoes. Each design of the shoes has different dimensions. There is no specific dimension except the height of some of the designs that are either 8 inches long or longer. The dimensions depend on the size and design of the shoes. 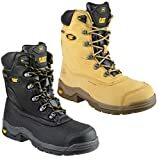 By the end of this post, you might have made your mind that these boots are the best safety boots you can find today. All of these have very affordable prices and would not put a hole in your pocket. Be smart and make the right choice. SHP Safety footwear – lists what each of the various safety meanings are. The history of work safety boots – an interesting read.